Sell dental gold in Chula Vista at the Chula Vista Jewelry Exchange. At the Chula Vista Jewelry Exchange you’ll receive a fair price for a gold tooth you don’t need anymore. If you’re tired of not receiving the right amount you want, then stop by and you’ll see for yourself. 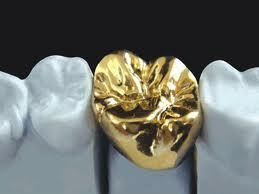 We pay high payouts for your dental gold. We will be happy to make business with you and we guarantee that you will be helped by a professional that will carefully give you an estimate of worth. If you are skeptical to sell your valuable gold online, then come in if you are a Chula Vista and San Diego local. Get cash for dental gold in Chula Vista on the spot (we pay only for the gold content, any fillings and other items will be removed). At our location, we are professionals that value your dental gold and that way you will be satisfied with the price we pay. Call us today or stop in at the Chula Vista Jewelry Exchange and receive cash for your gold tooth in San Diego.